Which Food Will Mold the Fastest? Make sure no one has access to the cabinet where the samples will be stored during the experiment. 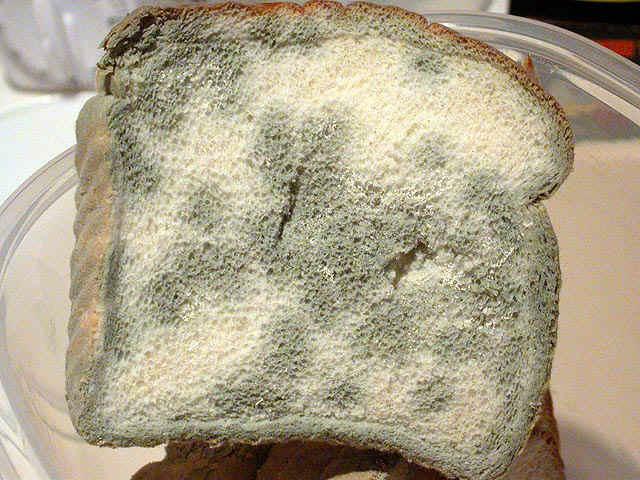 Moldy/spoiled food can make you sick. To see what kind of food, left un-refrigerated, will mold first. To leave food out to see which one will mold first. To see what foods need the least refrigeration. What type of food do you think will mold the fastest when placed in a cabinet together? Many foods need to be refrigerated in order to stay fresh and edible. The question is, what type of food will go bad first? When you think of dairy foods, you think most of these require refrigeration. 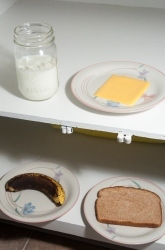 When put to the test along with bread and bananas, which will mold the quickest? It is important to know as some molds can make you very sick if eaten. Which type of food will mold (spoil) the quickest? Does dairy mold faster if not refrigerated? You need to know what foods are usually refrigerated and which are not. You need to research mold to see what it looks like and how it spreads. Gather all of your sample foods and make sure they are fresh and not yet moldy. Take the banana, bread, and cheese and put them each on a separate plate. Pour milk in to a glass. Take pictures of the food as it appears when fresh. Wait 4-5 days and check on the samples. Have any of them molded? 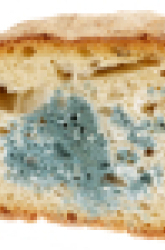 Answers.com "What happens if you eat moldy bread?" Free Science Project "The Mold Experiment"
Which Fruit Molds the Fastest? 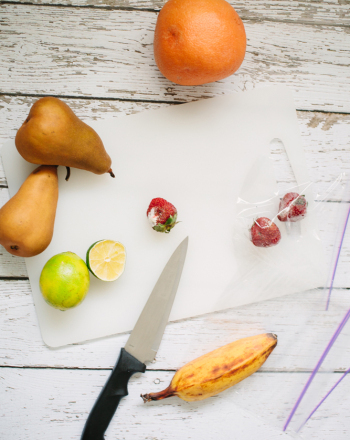 This science fair project idea explores which fruit molds the fastest. 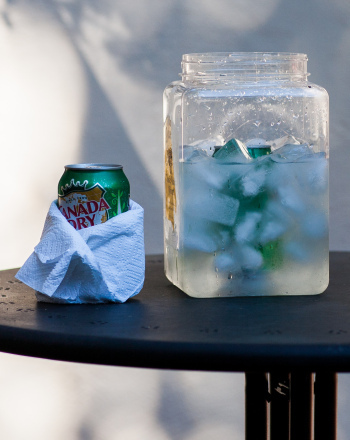 In this fun science fair project idea, kids will experiment with various methods in order to discover the fastest way to cool a soda. 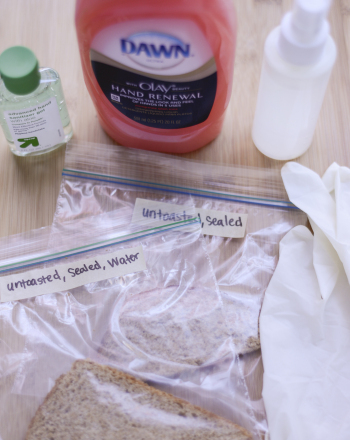 Do Hand Soaps and Sanitizers Prevent the Growth of Bread Mold? 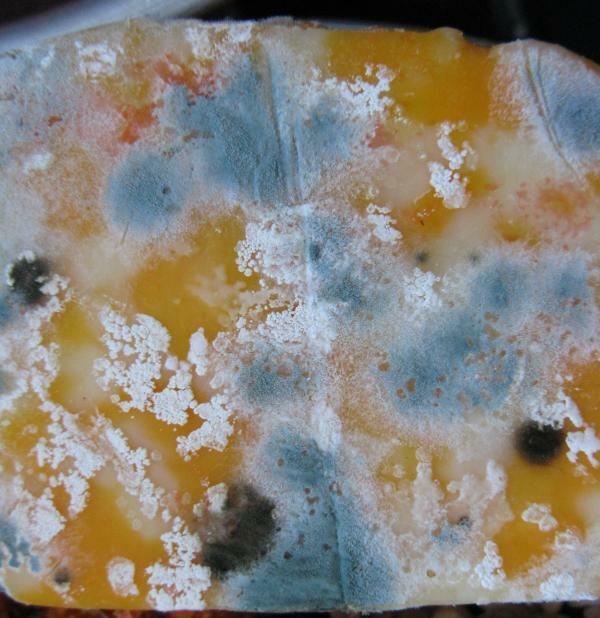 Do hand soaps and sanitizers prevent the growth of bread mold? If so, why? Kids will find out with this fun and informative science fair project idea. 4th graders construct an ocean food web to learn about consumers and trophic levels, food webs, and food chains in this cool ecology science fair project. 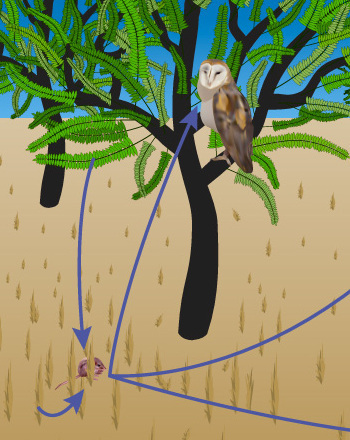 It's eat or be eaten when it comes to food webs! 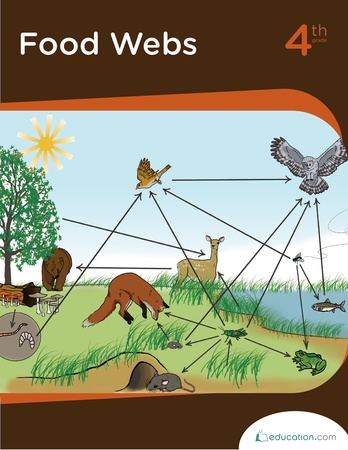 Kids read informational text as they learn about food chains and food webs in this well-illustrated workbook. Charts and writing prompts round it out. 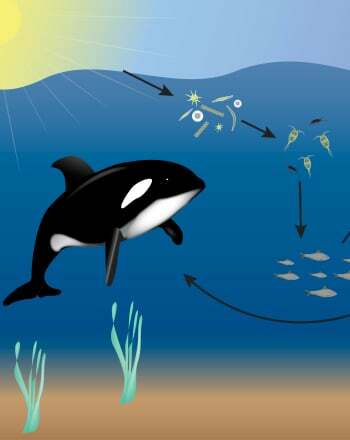 This worksheet featuring food and natural resources touches on the subject of food chains. Check out this cool science fair project idea to explore the risk of mechanical deterioration of artifacts placed in a storage box due to mold outbreaks.